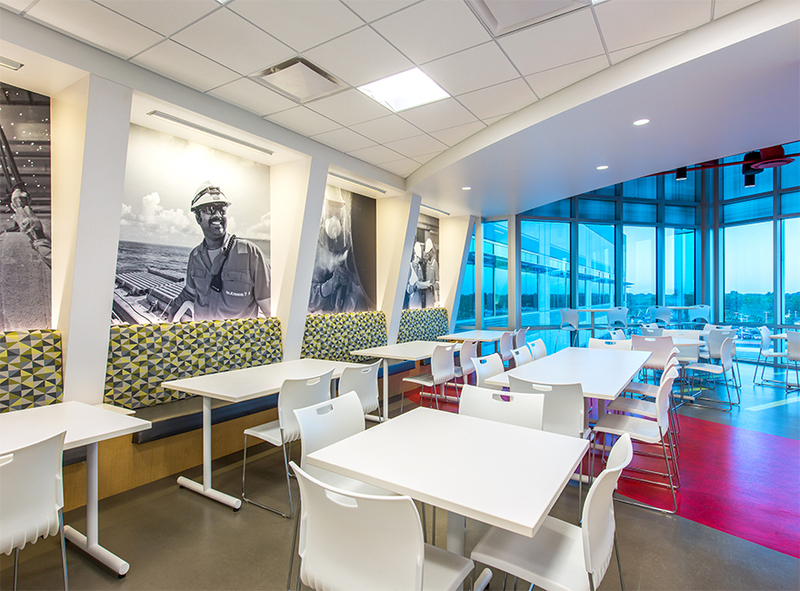 Subsea 7 is an international energy and marine services company that offers seabed-to-surface engineering, construction, and services to the offshore energy industry. 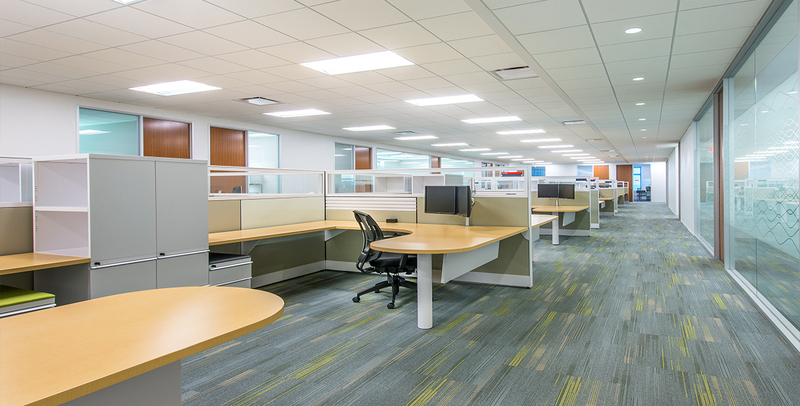 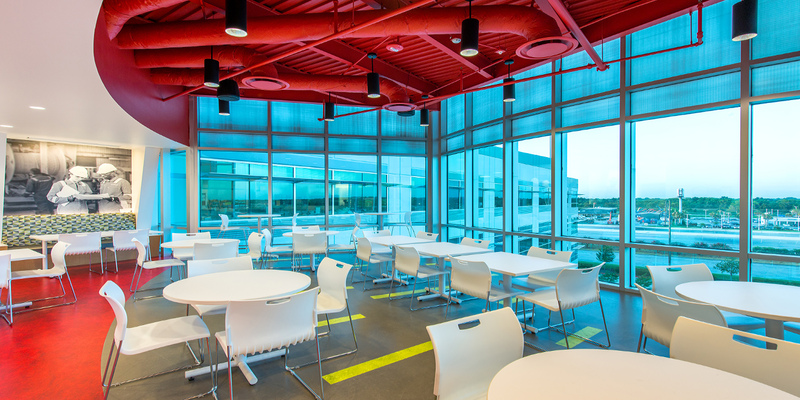 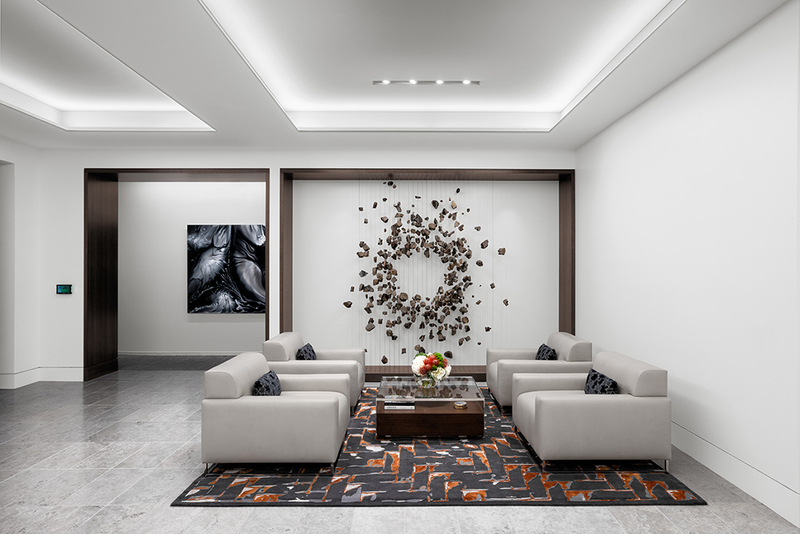 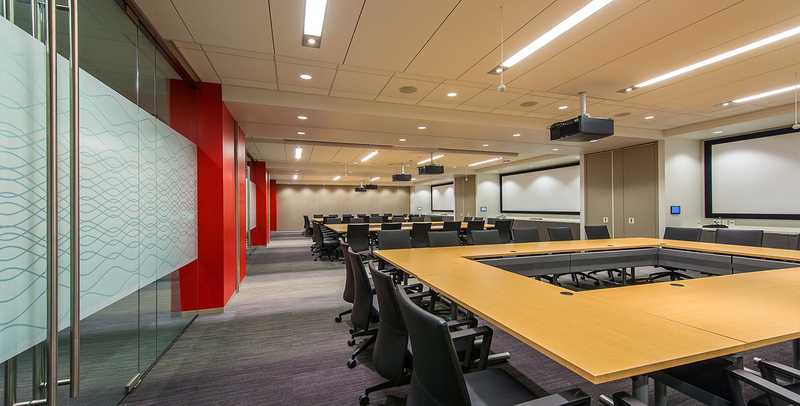 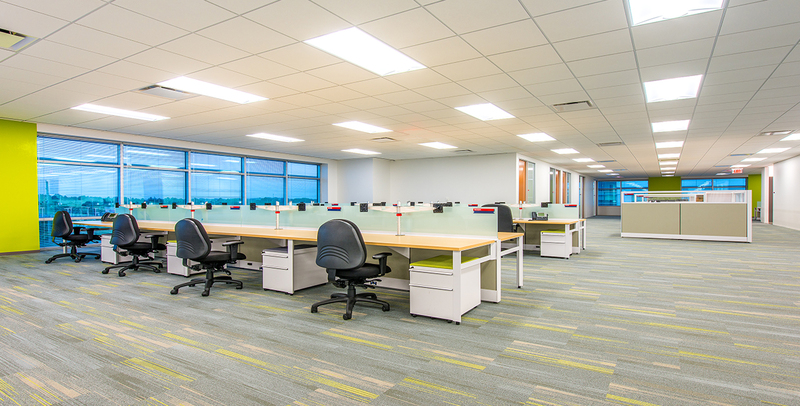 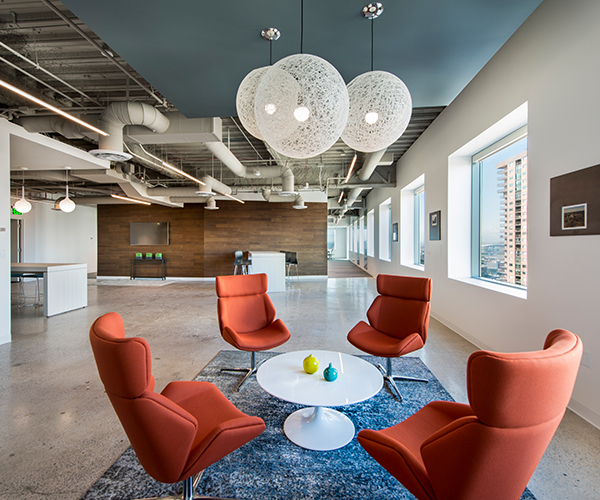 With offices all over the world, and Houston serving as its North American headquarters, Subsea 7 decided to consolidate its Houston-based offices into one 105,000 sf space that spans three floors. 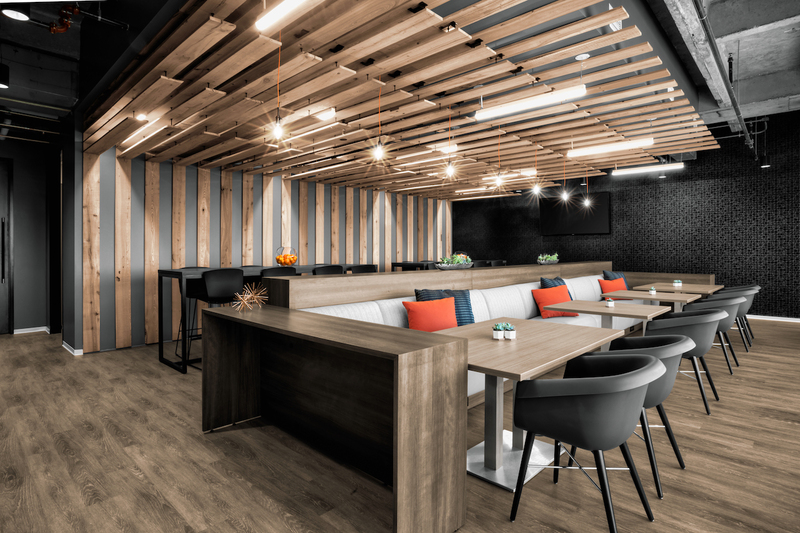 A wood herringbone wall covering was added behind the reception area to bring the company branding to the forefront and to add warmth and texture to the space. 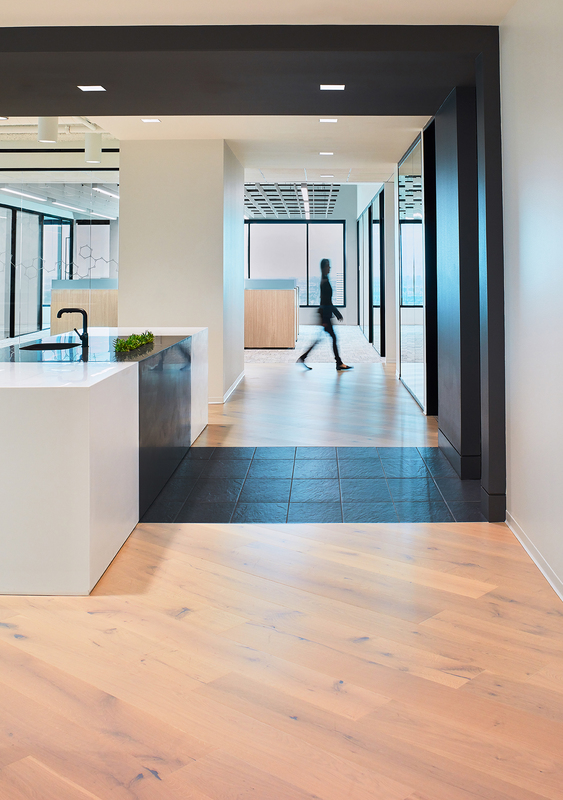 To draw the eye down the corridor, cantilevers were added in the signature color of the brand. 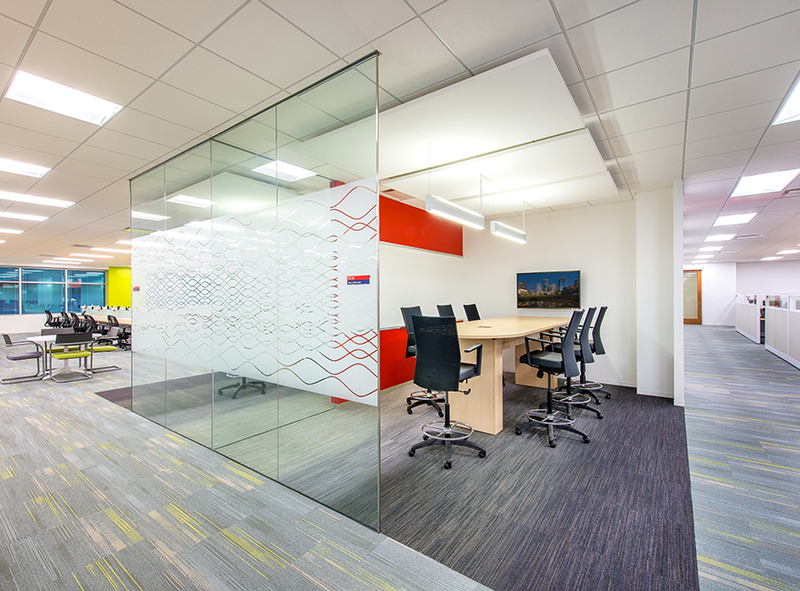 To infuse the brand into the design, an aquatic theme was utilized throughout the office. 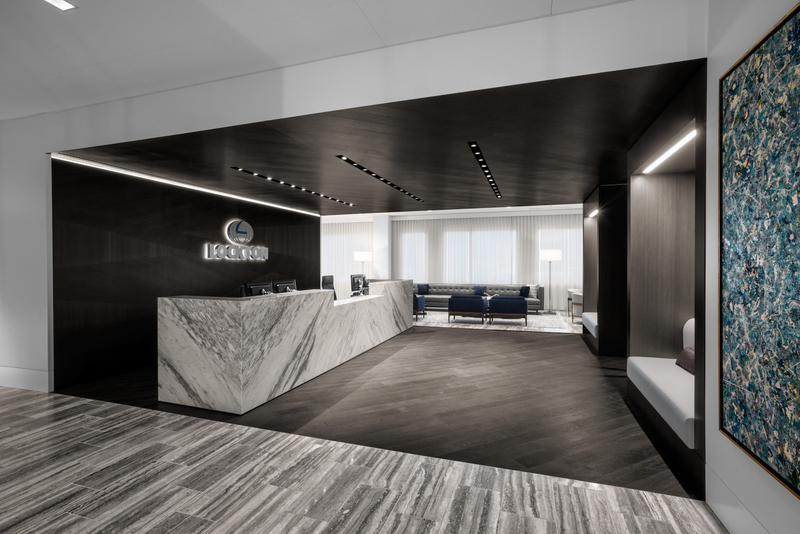 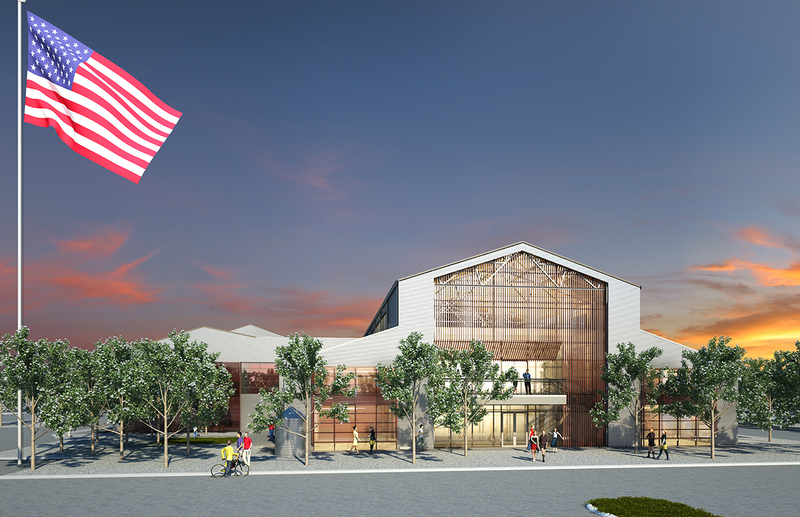 Most notable is the vessel-shaped reception desk complete with helipad that also doubles as an accessible workspace. 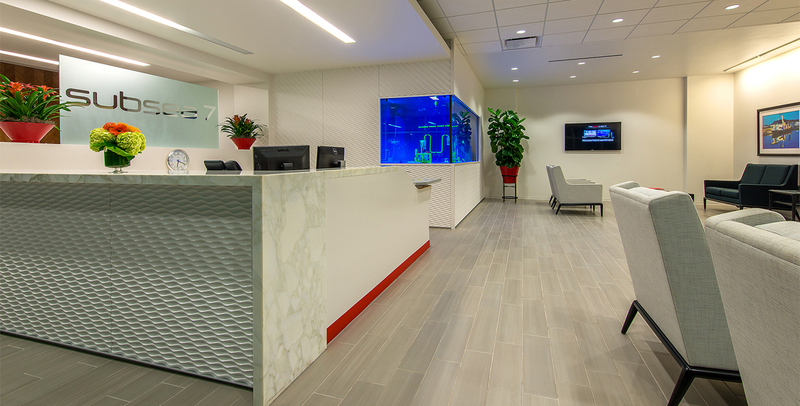 Another focal point of the reception area is the remote-operated 3D model of Subsea 7’s latest equipment.